Why would I need self storage in Summerville, SC? There are a variety of reasons why you might need self-storage in Summerville, SC. How much is a storage unit in Summerville, SC? The cheapest storage unit in Summerville, SC is $35.00 per month. What size storage units do you have available in Summerville, SC? In Summerville, SC we have sizes that range from 4'x5' to 20'x20' to suit your storage needs. How much is it for a 4'x5' storage unit in Summerville, SC? The cheapest 4'x5' storage unit in Summerville, SC is $46.00 per month. 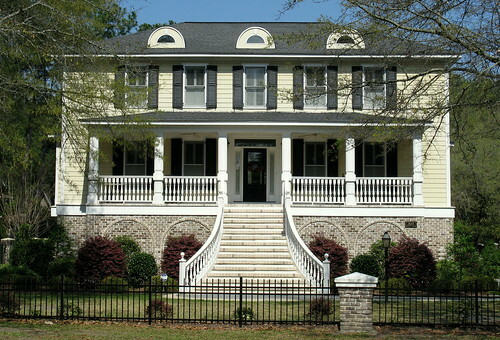 Summerville is a growing city in South Carolina, nicknamed "The Flower Town in the Pines" for its picturesque location. Even though the city has been growing steadily in recent years, it remains a quaint bedroom community known for its gardens, beautiful shaded streets and slower pace of life. The area where Summerville now stands was originally settled as a summer home for Charleston plantation families in the late 1700s. When the railroad reached the town in the 1800s, the town experienced more significant expansion and was soon officially incorporated as a village. The railroad expansion led to widespread clearing of the area, which began to cut into some of the town's valuable forests. As a result, Summerville passed a law in 1847 that prohibited the cutting down of trees of specified sizes, and the city's pines are still protected by this law today. The Summerville YMCA is a major presence in the community, offering a range of recreational programs, but is perhaps best known as the host of the annual Flowertown Festival. The festival dates back to 1972 and has earned Summerville state-wide recognition. It serves as a major fundraiser for the YMCA, specifically supporting several health and wellness programs and resources. As the largest arts and crafts festival in all of South Carolina, the Flowertown Festival attracts about 200,000 visitors every year. Hundreds of artists from all over the country are invited to display and sell their work, and many local restaurants participate in the event by serving samples of their top dishes. There are also children's activities including a kid-friendly carnival in the event's Children's Jubilee. Students in Summerville attend schools in Dorchester School District Two. There are also several faith-based private schools in the city. Utilities: Summerville receives utilities services from South Carolina Electric & Gas and the Summerville CPC. Garbage and Recycling: The city contracts with a private company to provide curbside collection of trash and recycling in most residential areas of Summerville. Transportation: Public transportation options in the Summerville area include the Dorchester Connector Shuttle and TriCounty Link bus service. Summerville has a very large housing market, with fairly affordable prices that aren't too far off the national average. You'll find many different types of homes in the city, ranging from brand-new construction to older homes with historical character. Our lowest priced units in Summerville, SC average $45.20 per month. 268 people have reserved units in Summerville, SC in the past 30 days. There are 5 locations within Summerville, SC's city limits. There are 5 locations in Summerville, SC that offer AC and Heating features.